Fighting Somali pirates, challenging the American political landscape, empowering women affected by war, striving for human rights, and winning Nobel Peace Prizes along the way – these are just some of the things modern Arab women are up to. Our selected women for today have been breaking stereotypes, inspiring women, Arab or otherwise, and paving the way for the future influencers of the world. Dr Hawa Abdi is a gynaecologist and human rights activist from Somalia. Although she received an excellent education owing to her family’s background, she faced a truckload of challenges from Somali terrorists, who couldn’t digest the idea that a woman was running a small hospital facility helping mums and babies in the country. During the civil war of 1991, she made every effort to acquire humanitarian aid from NGOs around the world. There were military efforts to shut down her hospital and essentially block her from having any contact with the media. This fuelled her determination even more, and when her hospital was attacked and destroyed, she put her patients’ lives before her own, rescuing them from Somali pirates. 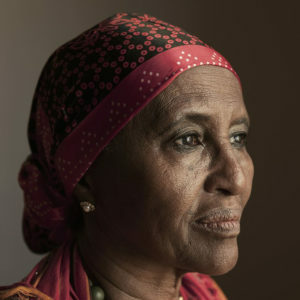 Hawa was nominated for the Nobel Peace Prize in 2012, and won various other awards including an honourary doctorate from Harvard University in 2017. 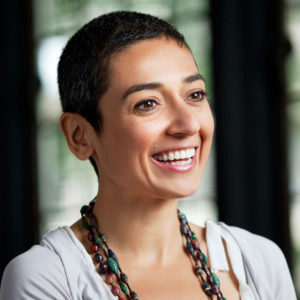 When she was 23, Zainab Salbi founded the Women for Women International organization, with an aim to help women affected by war. The organization empowers women by instilling in them skills to support themselves in the world, along with other financial and social assistance. As of 2018 the organization boasts of 400,000 beneficiaries in eight different conflict areas – pretty impressive. 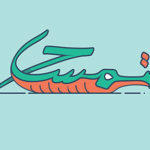 She went on to launch Nida’a, a talk show revolving around Arab women from various backgrounds. Zainab takes the credit for being the first person to interview Oprah in the Arab world. Bear in mind that our girl was already featured on the Oprah show numerous times. A real life superheroine in her own right, Zainab has also authored various books including Freedom is an Inside Job: Owning our Darkness and Our Light to Heal Ourselves and the World and The Other Side of War: Women’s Stories of Survival and Hope. 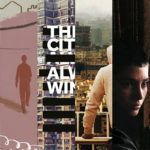 Her memoir, Between Two Worlds: Escape from Tyranny : Growing Up in the Shadow of Saddam is an eye opening work that about Iraq and her childhood that we can’t recommend enough. 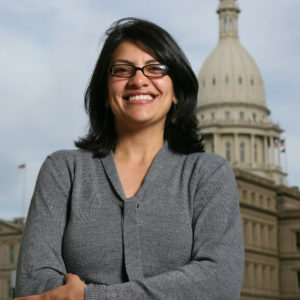 Another Arab-American making us proud is Rashida Tlaib, who became the first Palestinian-American to be elected to the US Congress. Rashida and Ilhan are the first Muslim women to serve in the American Congress. Rashida represents the state of Michigan. 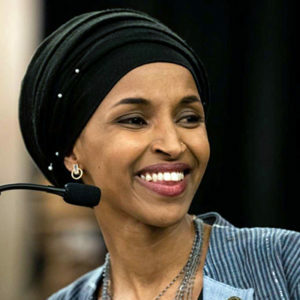 Like Ilhan, she is a critic of the current US administration and has been a leading voice in calling for impeachment of the current President. Internationally she has campaigned for ending US aid to Israel and the liberation of Palestine. Rashida has also campaigned for the end of human rights violation in the Arab world. By now most of us knows Ilhan Omar. She’s made an impression through every speech, TV appearance and lately every tweet she’s posted. 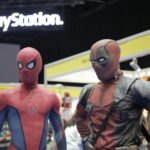 But why is Ilhan Omar making headlines? Hailing from Mogadishu, Somalia Omar represents the American state of Minnesota in the US Congress. She is the first Somali-American to be elected as a legislator, and the first woman of colour to represent her state. A staunch critic of the current administration’s immigration policies, Ilhan has also fought for causes including healthcare, affordable housing, and student loan debt regulation. In 2017 Time magazine named her on their Firsts: Women who are changing the world list. Maroon 5 featured Omar in their Girls Like You video. The icing on the cake however is the documentary Time for Ilan directed by Norah Shapiro, which follows her political campaign. The first Arab woman to win the Nobel Peace Prize, Karman had to be the first on our list. The Yemeni human rights activist and politician, nicknamed ‘The Mother of the Revolution’, is known for her contribution to women’s rights in her home country. 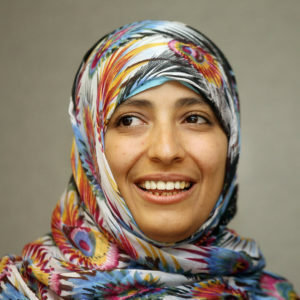 Tawakkol founded the Women Journalists Without Chains organization in 2005, advocating for the rights of female journalists in Yemen. Her profession as a journalist gave her the platform she needed to speak out on human rights violations in Yemen. She organized protests in Sana’a for many years, calling the government to account for its actions. Tawakkol was imprisoned numerous times for her fierce determination in fighting for democracy and human rights. This however never stopped her from carrying forward the flame of activism. 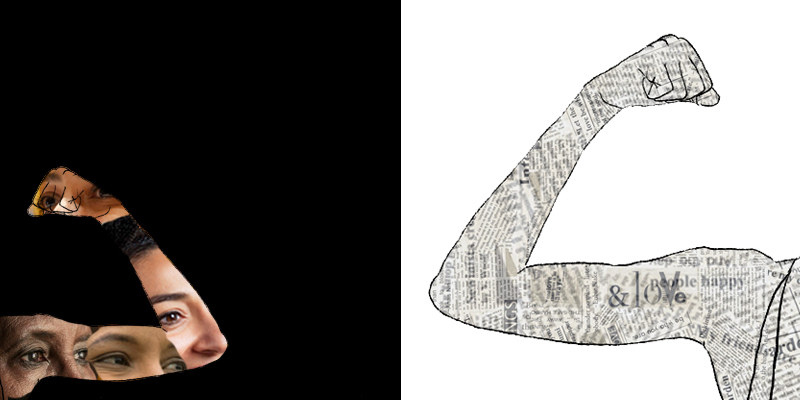 Karman’s bestseller Iron Jasmine: How an Arab Woman Led Her Country’s Fight for Democracy is definitely worth a read.